Honestly, if I opened up a walk-in freezer at work and a man leapt out yelling “Away, Satan!” and grabbed a knife, I would likely faint straightaway, secure in the knowledge that a post-apocalyptic religious zombie dystopia is now reality. 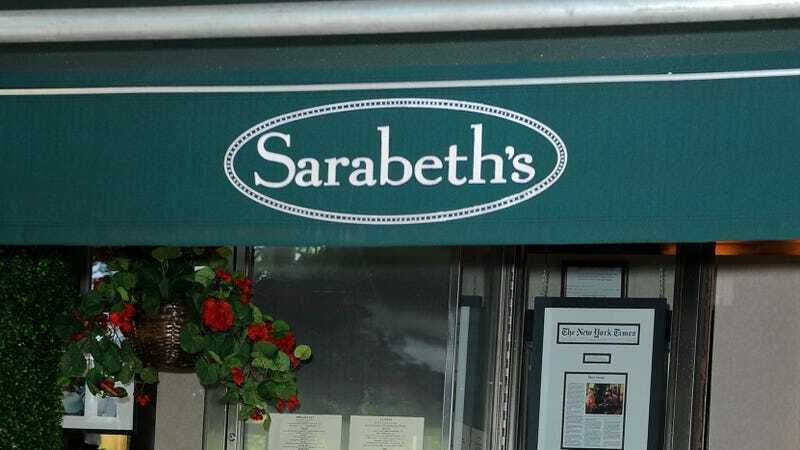 So, much credit is due to the brave staff of Sarabeth’s Bakery in New York City, who leapt to action when faced with such an intruder, wrestling him to the ground and getting the knife away from him, according to The New York Times. Once you get past the terror, it’s a sad story all around: for the man, his family, and the Sarabeth’s employee who next has to replenish supplies out of that same freezer. I would never be able to open that door again.